I have a confession to make. I spelled Michaelbrent Collings's first name wrong in ALL my previous posts about The World Horror Convention. The lesson to be learned here is to do your research very carefully! Luckily, Michaelbrent does not hold a grudge because he offered to do an interview which turned out to be as much fun as one could have via e-mail. There are many clues in his statements that give a sneak peek at the insightfulness and variety of his stories. Q: I know that authors usually don't like to pick a favorite, but is there one book that you've had the most fun writing? One that effected you the most? 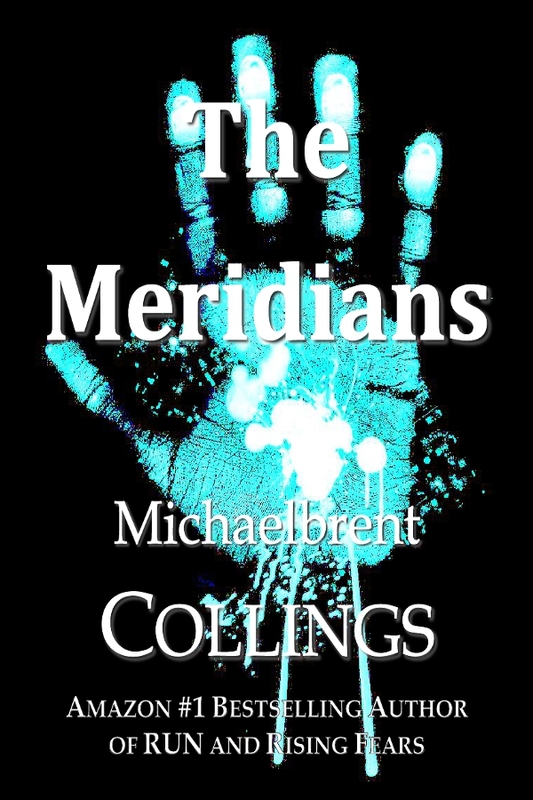 A: Probably the book I most enjoyed writing was The Meridians. I liked it because it dealt with some things in a very unique way. The story centers in part around an autistic boy who barely functions on a day-to-day basis. When he and his mother are targeted for assassination by a mysterious person known only as "Mr. Gray," his autism becomes not only an interesting obstacle in the story (obstacles are good for creating drama), but also turns out to be a redemptive facet of who he is. I like doing that: taking things that people "know about" and turning them on their ear. Be it a bad guy who has some surprisingly rational reasons for his actions, a protagonist who is deeply damaged or flawed, or just someone who is unpredictable for whatever reason, part of the fun of writing is discovering all these wonderful, horrible, heroic, cowardly, noble, and base characters... and then introducing them to others. Wife: Have you seen the kids? Me: (mumbling like Rain Man) Character arc needs work. Character arc. 100,000 words in a book. Probably 22 chapters. Wife: Because she drove off with strange men who offered her candy and then threw her in the back of a cargo man. Me: (mumbling continues) No, the protagonist can't offend the man in purple. Fish fly kites in snowy deserts. Wife: (sighing, she begins the paperwork for the restraining order) Nevermind. So when I've finished this "brainstorming" part of the process (which others might describe as the "drooling and mumbling to yourself part), I simply start writing. Sometimes I outline first, sometimes I just dive write in and start on the story. It is different for every piece. But the one thing that is the same is that I WRITE. No matter what your "process" is, if you don't sit down and start hammering away at those keys, you probably aren't going to get very far as a writer. Q: Have you seen your writing evolve with each book/story? A: Definitely. Every piece of life experience changes who I am, and what stories I might write. The first novel I ever wrote was RUN. RUN became a #1 horror and sci-fi bestseller, and I'm tremendously proud of it, but it's definitely a different kind of book than my latest, THE HAUNTED. RUN was about what defines people, what makes us human, a theme and question that many younger people have as they go through life trying to define themselves. On the other hand, THE HAUNTED is ultimately a story about family, about the ties that keep us together and what we're willing to do to protect the ones we love. 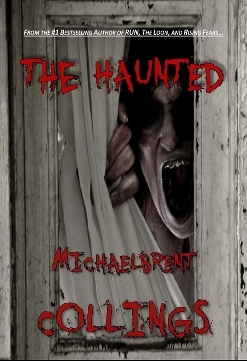 THE HAUNTED also spent over a month on amazon.com's Horror Bestsellers, so it obviously resonated with people just as RUN did, but the themes and the methods of scaring people are completely different in the two books. And that's a good thing, I think. I hope that in twenty years I'll look back at myself and realize that I've changed and matured, both as a writer and as a human being. Q: What attracts you to writing scary stories? A: When I started writing scary stories, the thing that attracted me most was that I could put anyone in my stories, and I got to decide if they lived or died. I started writing scary stories when I was quite young, and as a kid I wasn't exactly running with the cool crowd. I was more likely to be found upside down with my head in a toilet than getting elected Prom King. There were a lot of wonderful people around me, but I also got picked on a lot. And as someone who was four-foot-nothing and weighed maybe sixteen pounds soaking wet until I was well into my teens, there was nothing I could really do if someone wanted to make my life a living hell. So I'd take the punishment at school. But when I got home, and pulled out my pen and paper... well then I was in charge. I could kill off anyone I wanted to, and I found that it was especially gratifying to put the current bully in a story and then see how far I could push him in the story before he just gave up and died. Over the years I learned to take care of myself (lots of years lifting weights and taking martial arts), but I was hooked on horror by then. Not only was it cathartic for me as a youngster, but I started to realize that as we tell stories that frighten, we are touching a very deep and rarely seen part of the reader's heart. We have a chance to go where they have locked away their secret fears, and in doing so we also come to understand their greatest hopes. "Scary writing" is, ultimately, uplifting writing when at its best. Because when all is said and done, the hero has gone through experiences that would destroy a lesser person, but somehow he (or she) has come through it alive. Alive and often better for the journey. So when we read a horror novel, and good triumphs, I think it gives us hope in our own capacity to triumph, whatever the universe may throw at us. Q: Has your father influenced your writing? A: Well, for a decade or so my father was the world expert on Stephen King. And I mean that literally. So every night I'd go to bed hearing either typing as he worked away at his next critical work on King, or I'd hear screams as he watched a horror movie. Scares and thrills pervaded the house, and (more importantly) so did writing. So when I began to write (very young), my father graciously took me aside and talked to me about what made a story, and more than that what made a good story. Through the years he has continued to guide me, and even now I often turn to him as my first and favorite editor. He's a horror writer as well, and I respect and value and love him deeply. Q: Billy is a YA Fantasy and Run is a Thriller. Do you enjoy mixing it up or are you used to writing a variety of genres because you write so many scripts? A: I do enjoy mixing it up. Billy is YA fantasy, RUN is a sci-fi/horror/thriller, The Haunted is a paranormal thriller, Leon is a short children's fairy tale. 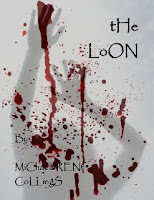 I roam all over the board, but I find that I always return to horror and thrillers. I've written all kinds of screenplays, too, from horror to epic adventure to romantic action comedies to thrillers. But I always come back to the horror. It's not merely that I find it more fun than most (which I do), but I also believe that horror is the genre that has the most potential to bring us to the depths of the human condition. And once there, we must by definition become our best selves in order to overcome whatever hurdles stand between us and our (hopefully worthwhile) goals. Horror is a reversed mirror: you hold it up to a person suffering, and see them at their best. You place it before a person who "has everything," and you might see that "having everything" really means "trusting nothing," and so is as much to be pitied as envied. Horror is also one of the last genres that allows you not only to discuss, but to assert the reality of God. And as a religious person myself, I suppose that is an attractive characteristic of the horror genre. Plus, horror is just too fun not to write! Michaelbrent has a wife and several kids, all of whom are much better looking than he is (though he admits that's a low bar to set), and also cooler than he is. 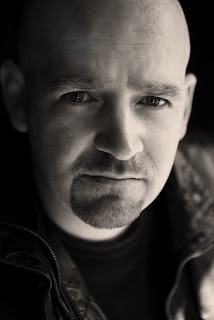 Michaelbrent also has a Facebook page HERE and can be followed on twitter through his username mbcollings. Follow him for cool news, updates, and advance notice of sales. You will also be kept safe when the Glorious Revolution begins!